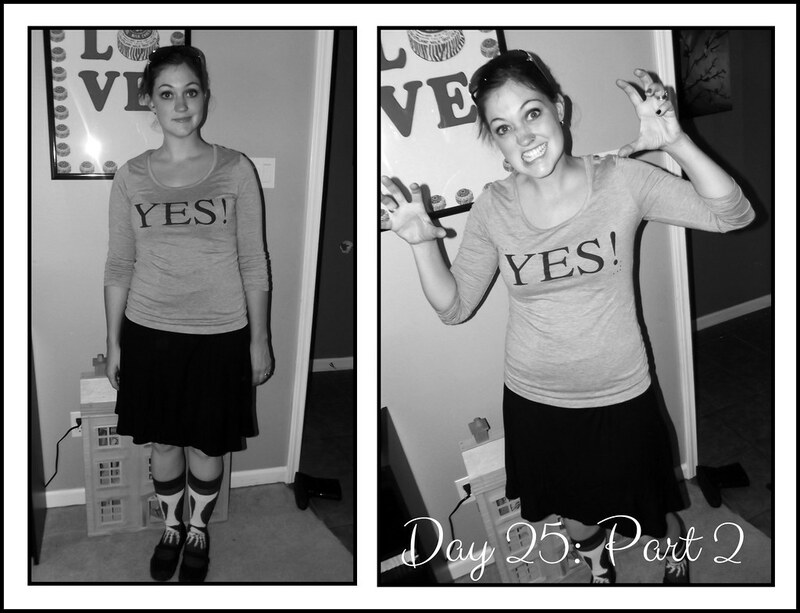 lori arnold mcfarlane: Halloween Week... And GO! The Dress comes in two parts today. Early this morning Lolly had her soccer game, and it was cool outside when we left the house, so I wore The Dress over jeans and with a gray owl sweatshirt. It was a little bit of a cheat, since only a small strip of dress showed, but hey, it was 8am. ...Speaking of soccer, Lolly scored two goals this morning. After three seasons, I'd say she's finally starting to get it! I was a proud soccer mum today. <<She's also not a half bad photographer. Could stand to grow a couple feet though. Would do wonders for her perspective and angle work. 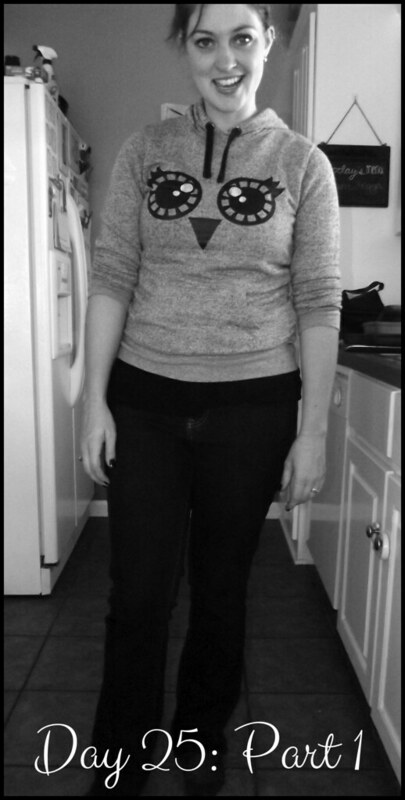 I love my owl sweatshirt (especially the ears on the hood), but by halfway through the game, it warmed up significantly, so I changed when I got home. I switched into my gray YES! t-shirt and my skeleton bones socks for heading into work. That second image I think was some kind of Thriller face. Because of the bones socks. ... a dead ballerina. Alternatively a zombie ballerina. She kept switching back and forth. Either way, she was awesome. The idea was entirely her own. 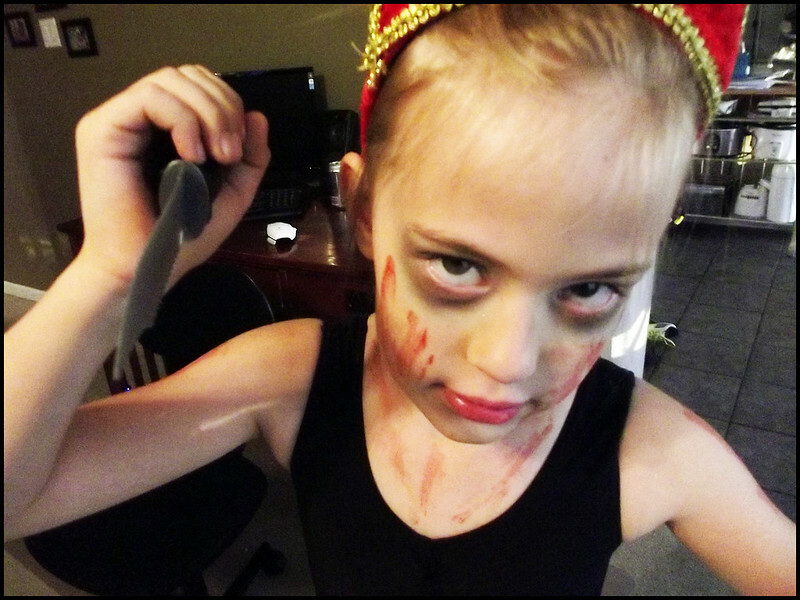 We happen to be very proud of our dead tiny dancer zombie girl. I bought Jaguar's costume last year in the post-Halloween sale for $2. It fits perfectly this year. 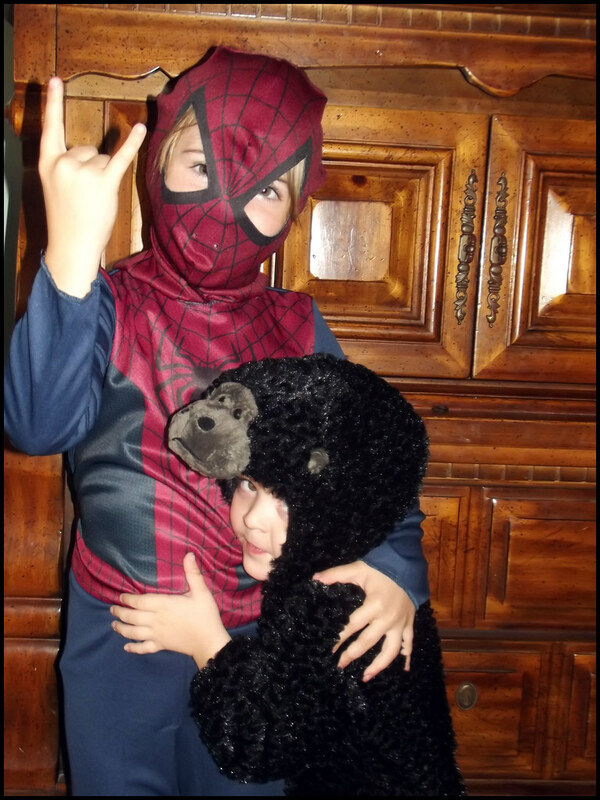 I was going to let him be Spiderman this year until I remembered the gorilla purchase. 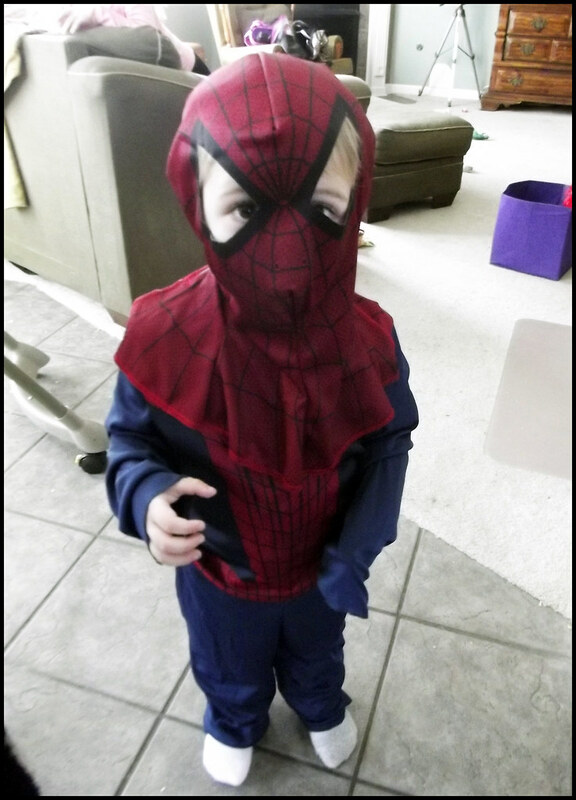 Still, when I saw this costume in the Dollar General for $10, I kind of lost my sense of practicality, and I bought it. I bought it without closely checking the size - it's a 4-6 year. Oops. Jaguar doesn't actually fit in it at all, but he sure loved running around the house in it yelling "MAN! MAN!" It was too big for Jaguar, but it did, however, fit Lolly to a T.
Lolly was going to be a black cat - and she probably will still be one day this week - but she's now decided that she's going to be "Spider Girl" for Halloween. And Jaguar still makes the cutest baby gorilla I've ever seen. More Halloween costumes coming your way. I'll be here all week!